Bart-Jan Kullberg was appointed as Professor of Medicine and Infectious Diseases, at the Radboud University Nijmegen, Nijmegen, the Netherlands in 2003. 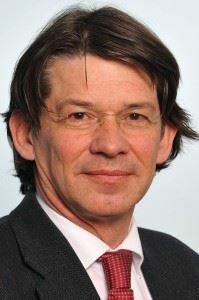 He is Chair of the Infectious Diseases Training Programme at Radboud University Medical Center. Professor Kullberg obtained his MD from Leiden University, the Netherlands and was trained in Internal Medicine and Infectious Diseases. His specialism lies in the area of treatment of invasive fungal infections, especially candidaemia and invasive candidiasis. He has served on the IDSA guidelines committee for candidiasis, the ESCMID Guidelines Committees for candidiasis and aspergillosis, the ECIL Guidelines Committee, and he chairs the Netherlands’ National Fungal Treatment Guidelines Committee. He serves on the Steering Committee of the Mycoses Study Group (MSG) and has been involved as a principal investigator or board member of various clinical trials on antifungal therapy.